ZAPTEST - ZAP-fiX 12 Meets the Challenge of a Shifting Consumer Market Armed with New Features! ZAP-fiX 12 Meets the Challenge of a Shifting Consumer Market Armed with New Features! The mobile world of apps and their platforms is growing at a dizzying speed. Consumers are now relying on mobile applications for many things, ranging from entertainment to relieve a long wait in the doctor’s office to accessing bank accounts while waiting in traffic. Smart phones and tablets are continuing to steadily draw attention away from computers to mobile devices. The phrase “there’s probably an app for that” is tossed around among thousands. With such a demanding market for new ideas and new uses for apps, developers and testers have to rush to catch up at a breakneck pace to stay afloat among the maelstrom of mobile growth. Developers be ware – the demand is shifting quickly! 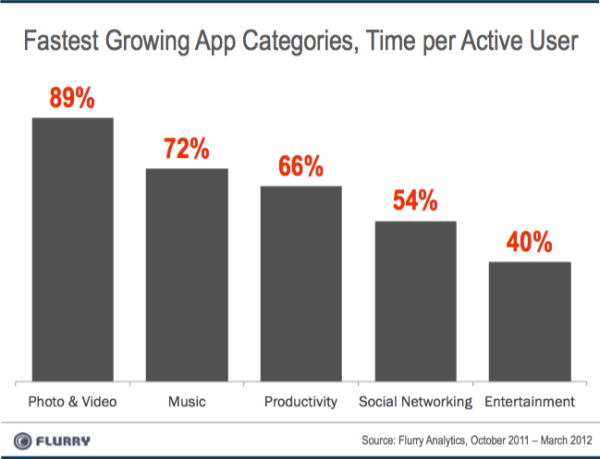 The categories in the chart above (provided by Flurry) shows the top five fastest growing categories in mobile apps over the last 6 months. By following the indications and results given in this study, developers now have their work cut out for them. ZAP technologies is with you every step of the way. With our many testing solutions, including our most popular ZAP-fiX, mobile application testing has never been easier. ZAP-fiX grows to accommodate all of the new demands and changes in the market and puts an efficient, innovative, and responsive solution into the developers’ hands. ZAP-fiX has evolved, along with its features! 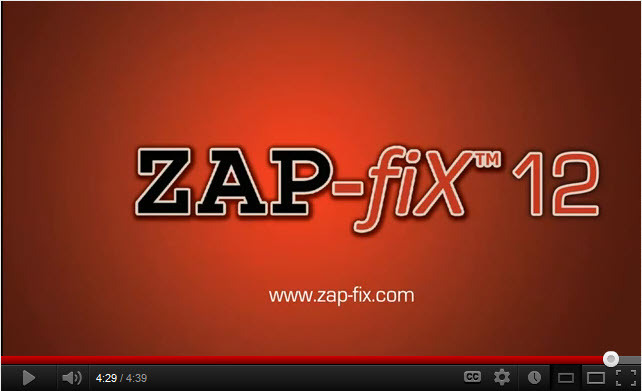 To view a full video describing the new features of ZAP-fiX 12, visit our Youtube channel here or click on the image below. Stay tuned for more exciting updates as ZAP technologies continues to add more features and solutions to our portfolio!